President-elect Donald Trump is reportedly poised to announce his nominee for secretary of defense. The rumored selection, retired Marine Gen. James Mattis, has a long, illustrious military career, and his ideology tracks closely with Trump's hard-line campaign rhetoric about aggressively engaging enemies of America. But the general's history of service could prove to be a hiccup in his confirmation hearings. Federal law requires that a secretary of defense be out of uniform for seven years before assuming the post. As the Washington Post notes, Mattis retired just four years ago. That means Congress would have to pass a new law to specifically exempt Mattis from this longstanding requirement. And that would have to happen before Mattis could be confirmed by the Senate. According to Post military writer Dan Lamothe, Congress has only granted that special approval once before — in 1950, the same year Mattis was born. 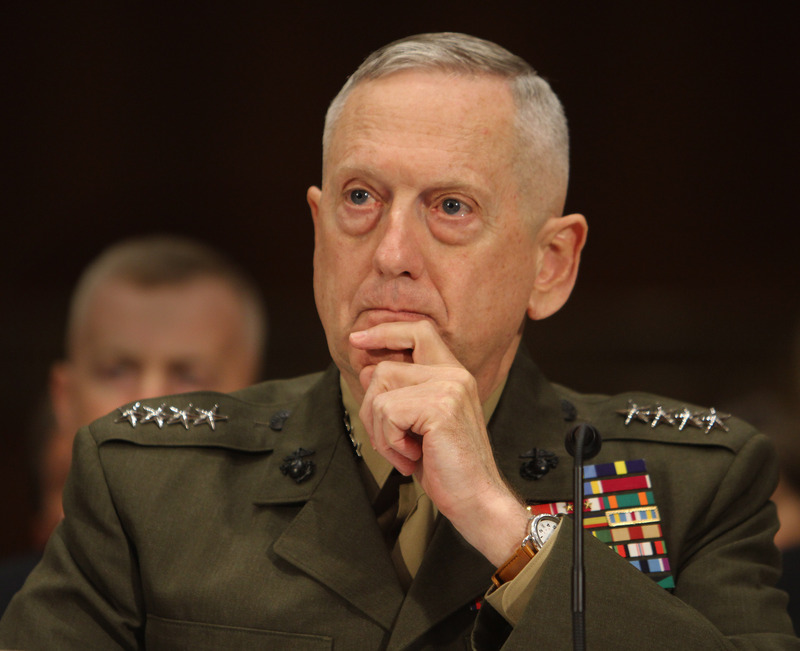 Mattis, whose nickname is "Mad Dog," was being celebrated by conservative pundits across social media, who were particularly excited about his reputation for "telling it like it is." The section of federal law that could prove thorny for Mattis' appointment is 10 U.S. Code, Section 113. The section lays out the duties and responsibilities of the secretary of defense, and establishes rules for who may serve in the role, and how they should be confirmed. The second sentence in the very first bullet point of those guidelines reads, "A person may not be appointed as Secretary of Defense within seven years after relief from active duty as a commissioned officer of a regular component of an armed force." As a retired general, former chief of U.S. Central Command, and former supreme allied commander of transformation for NATO, Mattis is without question qualified for the position of defense secretary. While it's not uncommon for secretaries of defense to be veterans, the position is intended to serve as a check and balance to maintain civilian control over the military. "This role was never intended to be a kind of Joint Chiefs of Staff on steroids, and that’s the biggest single risk tied to Mattis," an unnamed source and former Pentagon official told the Post. The Joint Chiefs of Staff, by contrast, are comprised of commanders of each branch of the U.S. military, and serve as envoys and advisers to Congress as lawmakers consider various levels of military intervention. In order to confirm Mattis as Trump's defense secretary, the incoming Congress will have to either suspend longstanding regulations in U.S. Code determining who can serve in the position, or draft an entirely new bill that specifically waives that requirement for Mattis. If introduced, such a bill would likely be attached to another legislative package, which may or may not have anything to do with the military. So adding Mattis would require special legislative maneuvering to serve in the administration. That seems to run contrary to Trump's countless campaign promises to fill his cabinet with "outsiders" and effectively "drain the swamp" of longtime establishment political figures.